As announced on B.K. 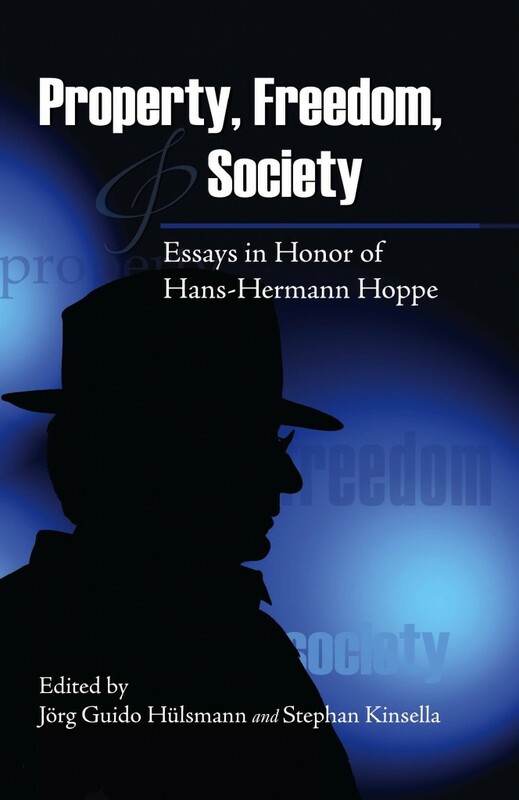 Marcus’s post at the Mises blog today (see below), the Hoppe festschrift that Guido Hülsmann and I edited, Property, Freedom, and Society: Essays in Honor of Hans-Hermann Hoppe (Mises Institute, 2009), which was already available in PDF and print, is now available in a free epub format as well. Kindle and other ebook formats should be available soon. 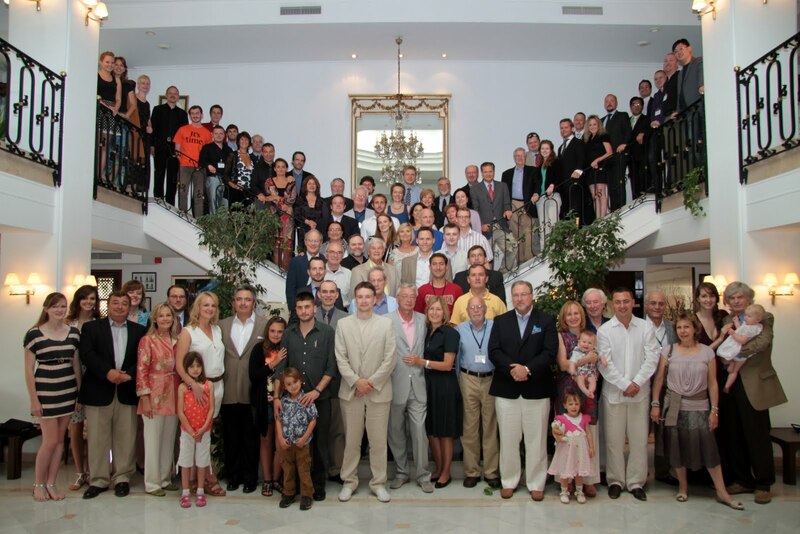 The festschrift was presented to Professor Hoppe, just a month or so before his 60th birthday, at a private ceremony on July 29, 2009, in Auburn, AL during Mises University 2009 (see Hoppe Festschrift Published). Pictures from the ceremony are embedded below. Also, as I noted in Book Review of Hoppe Festschrift, David Howden wrote an excellent review of the festschrift in New Perspectives on Political Economy. 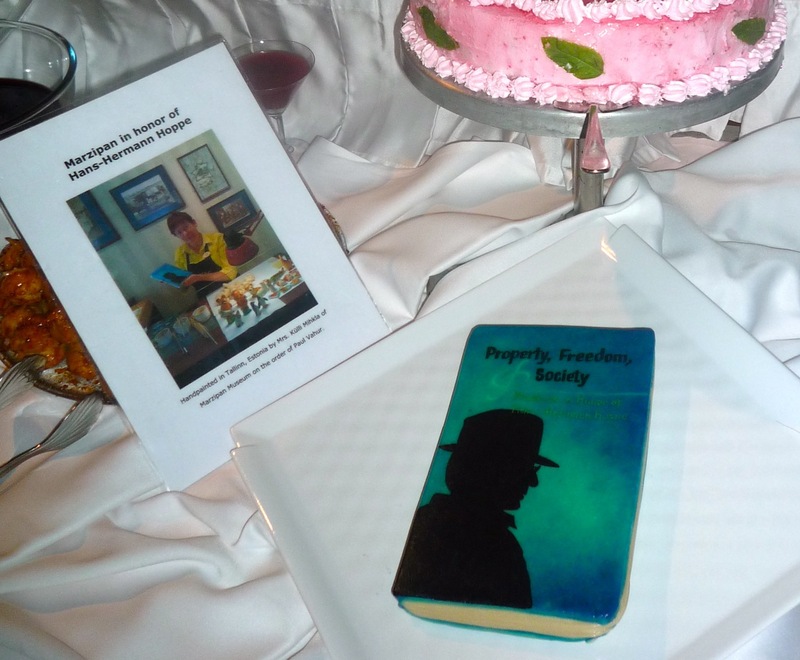 And, as I noted in that post, and in Bodrum Days and Nights: The Fifth Annual Meeting of the Property and Freedom Society: A Partial Report, as a piece of Festschrift trivia: at the recent Property and Freedom Society conference in Bodrum, Turkey, a guest presented a festschrift-cake he had had made in Estonia, entitled “Property, Freedom, and Society: Marzipan in Honor of Hans-Hermann Hoppe,” which was served as part of the dessert at the closing banquet. Previous post: Principato di Filettino: A step on the road to Hoppe World?